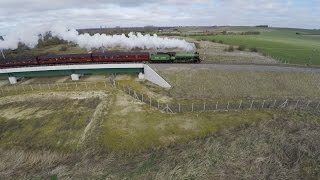 My father and I have been photographing our travels around Britain's railway system for over 35 years. From our first rail tour (that's me in the cab of 47559 opposite!) to the present day. This website is now over 15 years old and represents a collection that is ever expanding in both range and technical scope.I hope you enjoy this view of the three and a half decades of our Railway photography. 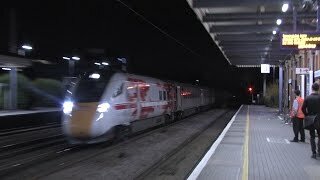 Intercity Express Programme unit 800101 operated for the first* time on the southern ECML. First Cat on the Southern ECML. Second run of the Barrington Freight. 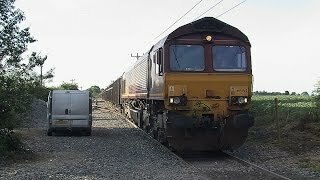 First run of the Barrington Freight. Some aerial views A general collection of aerial views shot using DJI Equipment DJI Phantom, F450, F550 and a Go Pro camera. More Blue Pull-persons! Round 2 with the Nankin train. This time the tour started at Letchworth Garden City and headed for Portsmouth. 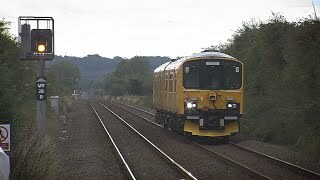 Lickey Charters 40 up the Lickey, couldn't really miss that! Basford Hall Night Stuffed Tiger Shoot During our last visit to Basford Hall it was decided that a night shoot would be jolly nice. So it was arranged! 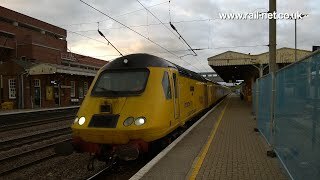 Hull Trains Drag One of the new Hull Trains Pioneer units dragged north through Stevenage in the consist of a freight. Out for a trip in Wales Out and about with a 33 and inspection salon in Wales. Sorry about the lack of catptions, I wasn't there and even if I was I probably couldn't spell where it was! 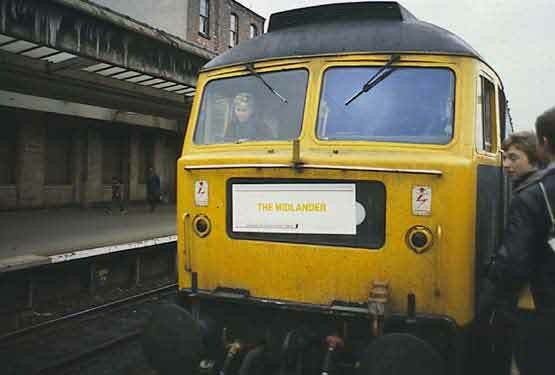 Back the Bid 2012 Following a poll amongst readers of Rail Magazine two class 87 are to be repainted. 87012 was chosen to be repainted into the colours of Network South East. 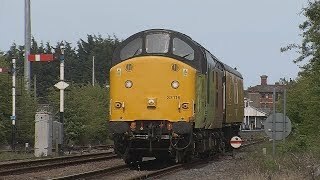 The CFPS Silver Jubilee Celebrating 25 years the Class 40 Preservation Society ran a 3 day tour from London to London via London. The East Lancashire Railways English Electric Gala 2004 The East Lancashire Railway to the north of Manchester hosted on of its regular diesel extravaganzas playing host it a large fleet of English Electric engines. 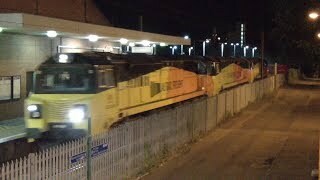 GBRf by Night After receiving a bit of Gen on the Freightmaster interactive list. GN Water Canons 2003 vs 2004 The autum leaf fall season starts and the 'wrong kind of leaves' must be removed. Top and tail 37s and some high pressure water jets should do the trick. The 2003 North Yorkshire Moors Diesel Gala Between Friday 11th and Sunday 13th of April the North Yorkshire Moors Railway between Pickering and Grosmont hosted a gala event running only diesel traction. Some heritage, some current. The Bone Idol - Farwell to the Class 58 I was on the first so I had to be on the last..
Knebworth Station demolition Many years ago Knebworth station had some beautiful LNER wooden waiting rooms and toilet facilities. These delightful building were ripped down to make way for ultra modern plastic waiting facilities. 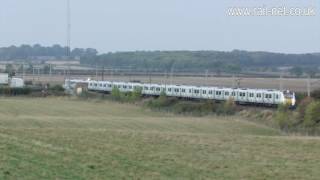 Beechbrook Farm Work on the Channel Tunnel Rail link continues apace now. 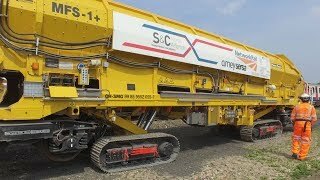 Most of the ballast work is being hauled by Freightliner owned 66/5's working from the holding are at Beech Brook Farm just outside of Ashford. 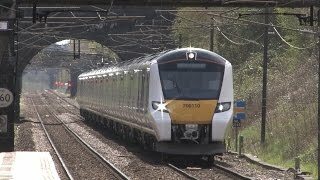 The Potters Bar Rail Disaster Once again the safety of our railways is brought into disrepute. 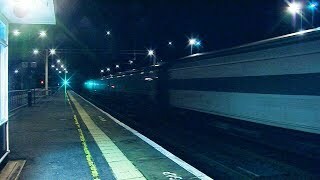 The 12:45 WAGN Kings Cross to Kings Lynn Service derailed at Potters Bar Station with fatal results. 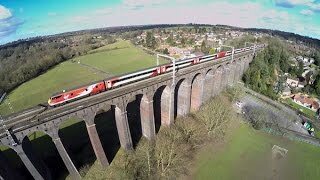 Virgin Voyagers at Three Bridges The changing face of travel sees the demise of the class 47 in favour of more modern and more reliable traction. 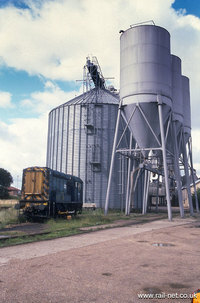 The Hatfield Rail Disaster Let us not forget that 4 people lost there lives in this tragic accident. 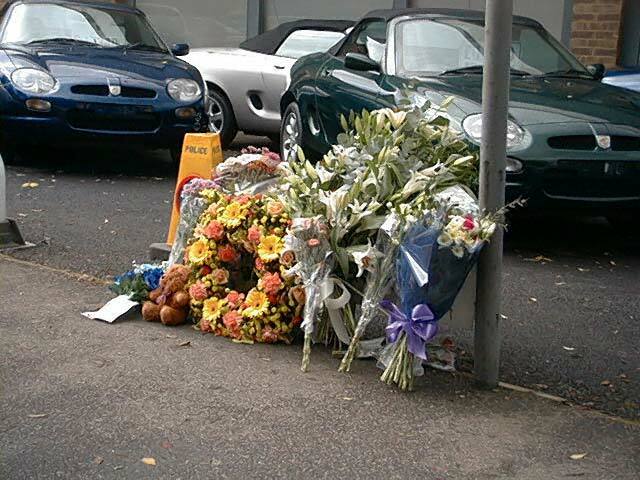 This shot shows one of the many sets of flowers around the crash site. 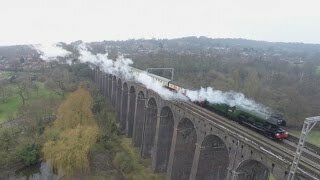 The Spanish Inqusition On the 1st of July Hertfordshire Railtours ran the "Spanish Inquisition" railtour from Finsbury Park to Plymouth Friary and Carne Point in Devon. 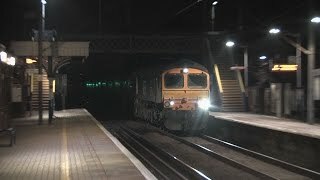 Traction for the tour was 67014 from Finsbury Park to Westbury, where 67010 was attached. 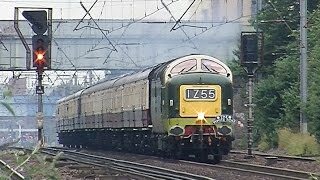 The Deltic Deliverance On the 30th of November 1996 D9000 pulled the Hertfordshire Railtours Deltic Deliverance departing from Edinburgh. 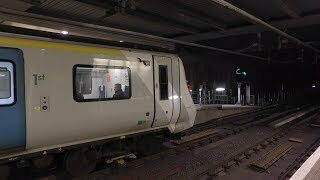 Does BR stock fit on the underground?? Blackpool Illuminations Many years ago British rail used to run "Merrymaker" Specials from London to Blackpool to see the illuminations. 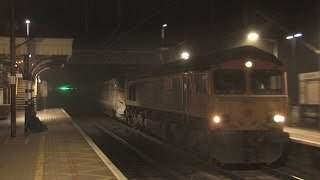 As can bee seen here the station provided some illuminations of its own with the exhaust and steam heat from the stock.